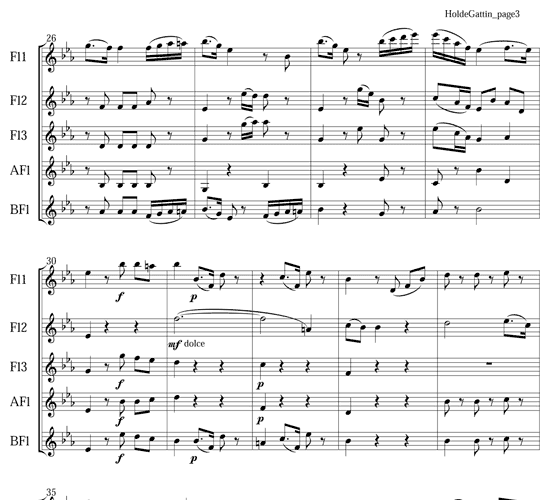 Adam and Eve's duet from Haydn's oratory “The Creation” is depicted here as a lovely and touching classical piece for quintet. 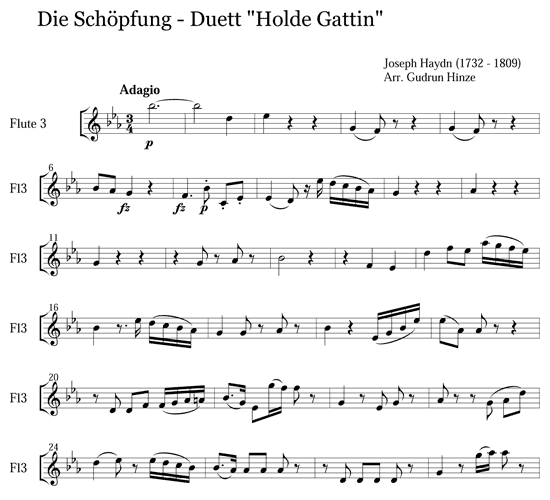 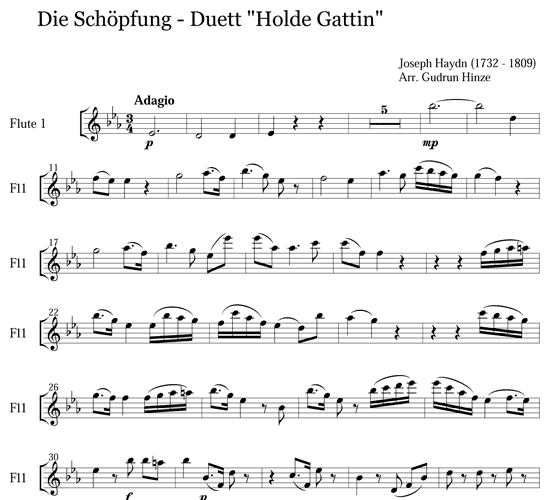 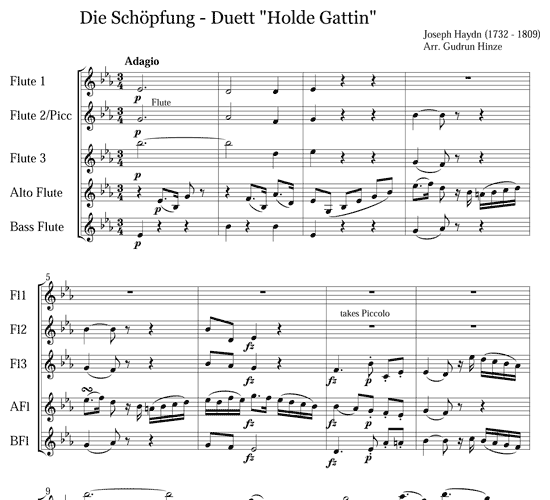 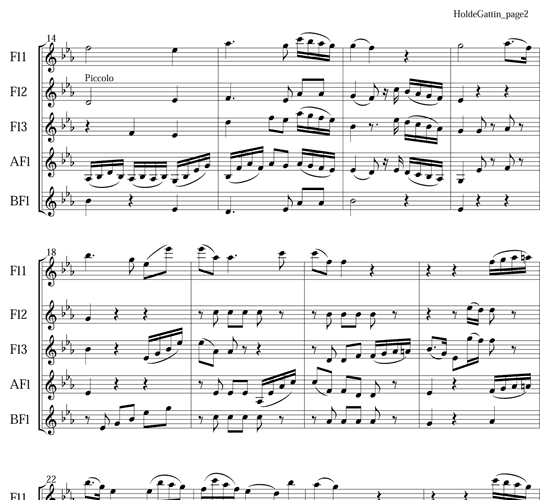 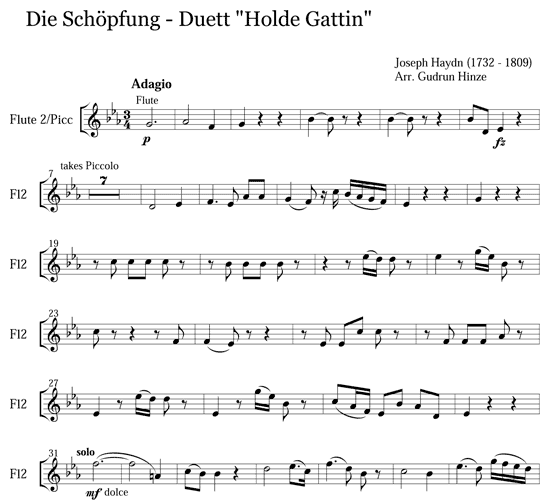 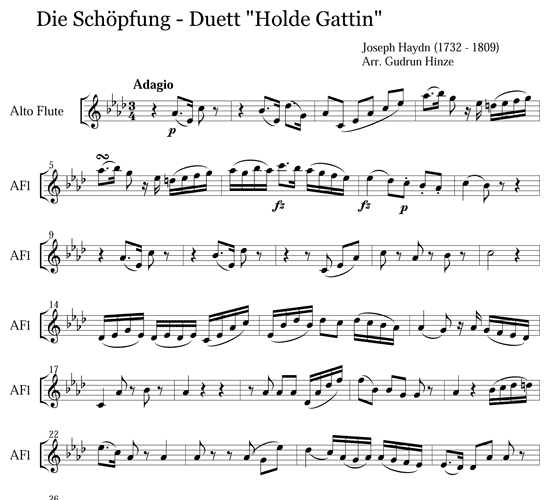 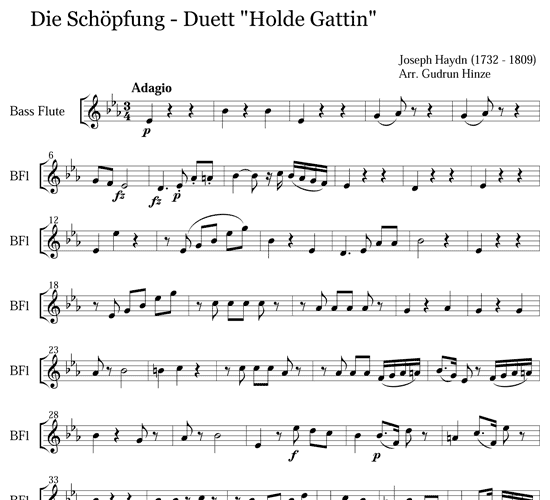 The flute parts are not to difficult and include interesting tasks for all five players, making this arrangement an excellent choice for both concerts and wedding celebrations. 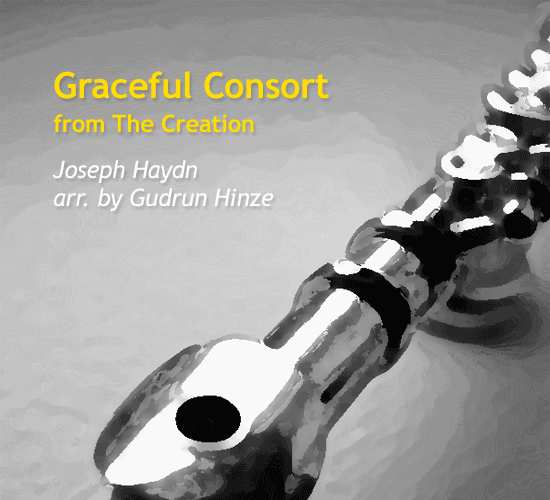 One can easily imagine Adam and Eve addressing each other in love and adoration.